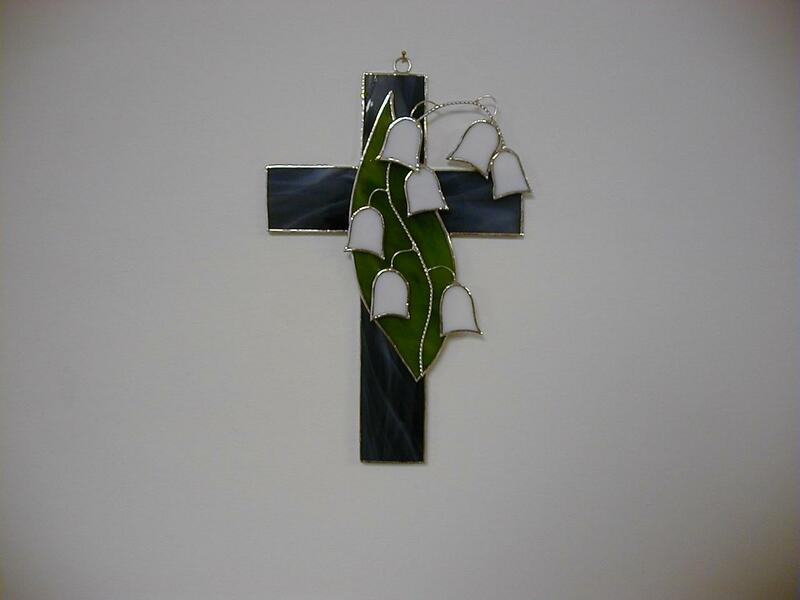 Stained Glass Large Blue Cross with Lily of the Valley Flower. This is a beautiful dark blue/light blue wispy glass . The Lily of the Valley is overlayed on the cross and has a two-toned green leaf and white flowers. Twisted wire stem. We offer secure payment processing through our PayPal shopping cart and E-mail invoicing where you can pay with credit/debit card by clicking a link on your E-mail invoice. If you would like to pay with a check or money order, E-mail us your order and we will E-mail you the mailing address upon receipt! !You are not required to have a PayPal account to make internet payments on this site!